Today, I decided not to do that. 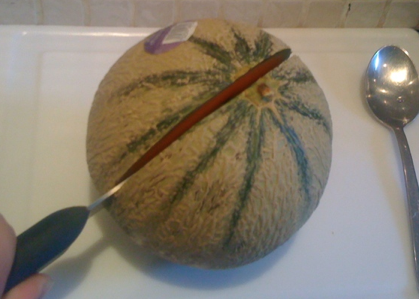 I bought a melon. 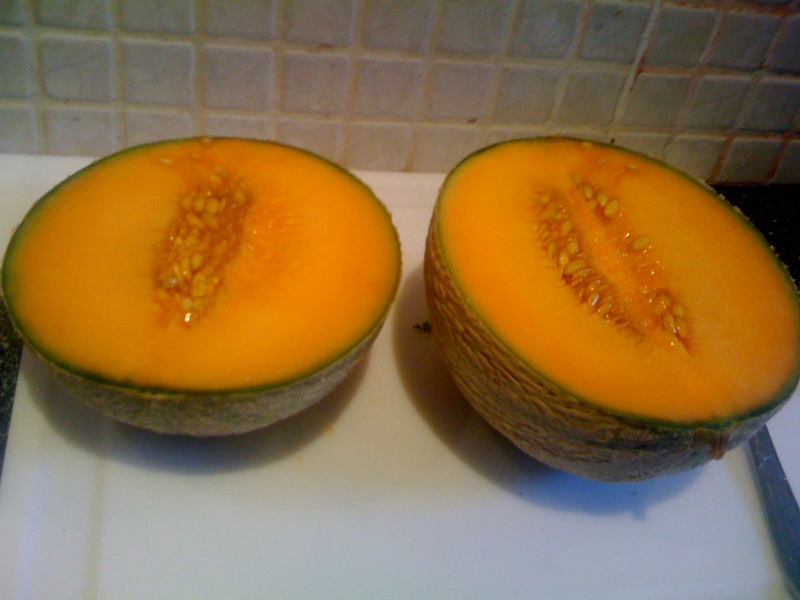 It’s a Charentais melon (or ‘Sharon Tate‘ melon). It’s quite pricey at £2.49, but I am treating myself so it’s okay. 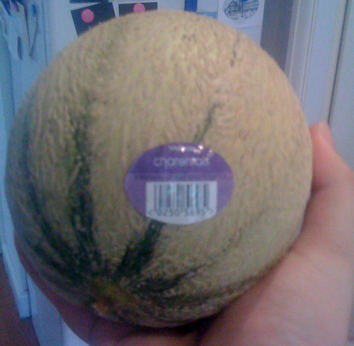 From the outside, it looks a lot like the standard Canteloupe. It’s so much more rewarding than that. Let’s have a look inside. What a lovely burst of colour coming through. Look at that delicious flesh. 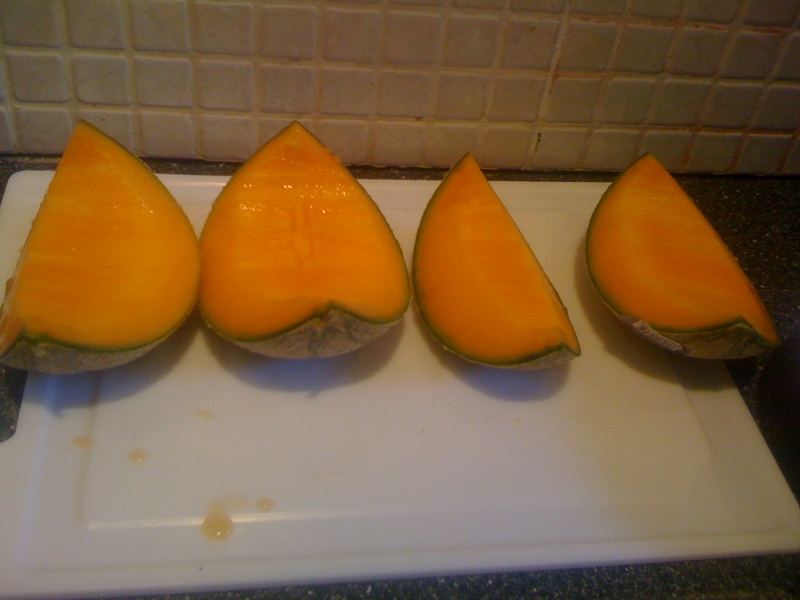 Deseeded, I quartered the melon then cut it into small cubes. Attempting to shoehorn my 5-a-day (35-a-week) into one go, I ate it all. I have a burning sensation in my throat and a slightly odd vitamin C high. Posted on September 17, 2010 by a/g/p. This entry was posted in general, life and tagged 5 a day, food, fruit, melon. Bookmark the permalink. Would love to holiday in Charents-Maritîmes! Am nearly out of the cognac you gave me.